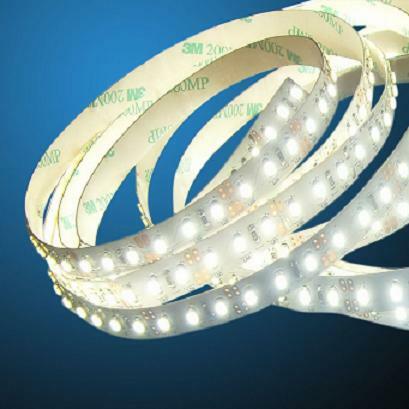 High powered Epistar LED ribbon tape ideal for stunning lighting effects both in the home and on architectural projects. 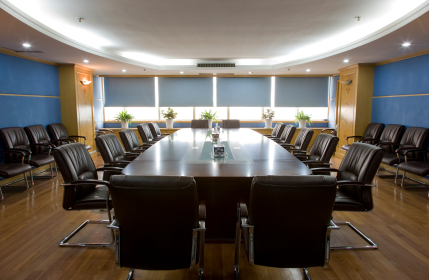 Its physical size allows it to be concealed in a variety of applications - to high-light interior features such as beams, shelves, under/in cabinet lighting, behind head-boards and many more. 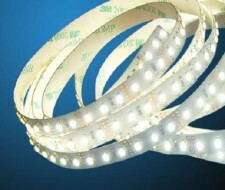 Available in cool white, warm white or NEW natural white (4000-4500K) with 120 SMD LEDs per metre. Excellend light quality CRI>80. It can be cut every 25mm and backed with 3M adhesive tape for easy installation. Please note the snap-on connectors do not fit this ribbon. 12Vdc transformer required (600mA/M). Multiple lengths can be run from one transformer - please see Products/Power Supplies or call our sales team for advice.